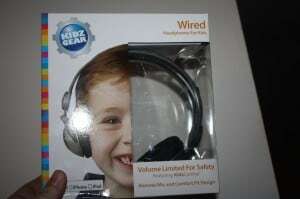 I have teamed up with Deals 4 Dummies to bring you reviews and giveaways of great products in our Sprint Into Gear Event, you saw earlier today of the Kidz Gear Wired Headphones For Kids (with Inline Remote/Mic Control) review and now you have the chance to win a pair!! I like that the pads surround their ears. I like that there here on yr giveaway! I like that the volume control is set to where they can’t blow their ear drums. They are compatible with nearly everything AND they won’t go too high to damage a child’s hearing! What a great giveaway! Would love the for my little guy! I like the fact that they are made for small heads. I have an estremely hard time finding headphones that will fit my daughters head. Thank you for the giveaway!! I like, that the headphones have a max volume level that is just right for kids. Love that they are for kids and they stay on their head! I like that its made for kids. These will make awesome Christmas gifts for the two oldest granddaughters!